Thankyou for visiting our exterior signs page. 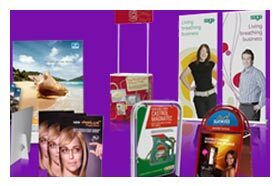 We can offer you a broad range of exterior signs including signboards, free standing signs, banners, shop front fascia signs, A frame signs, illuminated sign boxes, etc. The options are endless, with each sign type having it’s own characteristics and application. 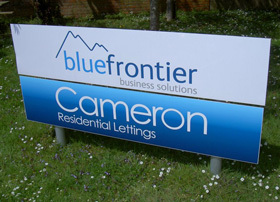 Our exterior signs are made from weather resistant materials designed to produce long lasting results. 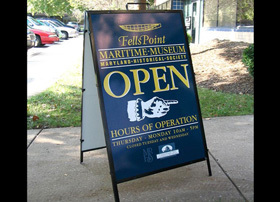 Exterior signs will in most cases, be the first contact that a visitor has with a business or organization. Exterior signs should welcome, inform and direct, but that vital first impression also speaks volumes about what a company stands for and what it represents. Crystal Signs can cater for all your exterior signs needs and determine what is the best application to suit your location and budget. Signboards using Chromadek as the backing panel, are very popular exterior signs. Chromadek is a steel based material with a smooth finish on the one side and galvanized on the other. 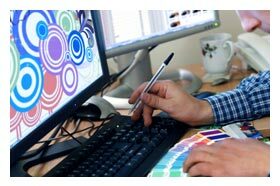 The face comes in a variety of colour finishes and can be painted or overlaid with printed vinyl graphics. Again Chromadek signs are excellent for outdoor applications. 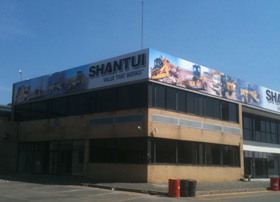 Exterior signs can also be manufactured using plastic, or perspex as the backing, as they resistant to corrosion. These plastic signboards are precoloured and then, the graphics applied. 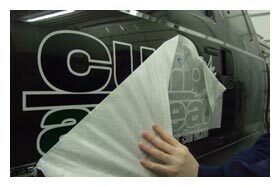 Whatever the application, Crystal Signs can produce exterior signs to suit most budgets and welcome your enquiry. Correx boards make for excellent, short term exterior signs. They consist of a fluted plastic material that is very light and easy to install. Coruplast can be used for many exterior signs applications, particularly, Real Estate agents, who enjoy using this medium for their For Sale and On Show signs. 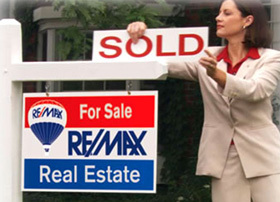 This type of sign is usually mounted on a sign stake and then the sign is strategically positioned to facilitate directions and location of the house for sale. 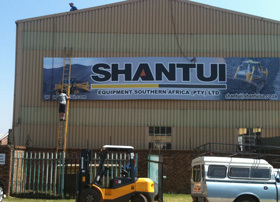 for all of your exterior signs requirements in the Gauteng area.